This is absolutely overwhelmingly awesome! You are making your passion your vocation. Love! Linda- This sounds absolutely fabulous! Wondering if I could pull it together and do it with my students in the next couple of weeks. And then schoolwide next year! I love it! Amy, two of your poems are competing against each other next week. LOL! Wow, Linda, lots of wonderful things going on because of your amazing organizational skills & those others who helped, too. I love Tabatha's poem. How great that it's one of the winners! Looks like a poetry playtime at your school! Librarians rock! I so love this! What an amazing poetry/community building activity you've created! I'm so impressed by your creativity, organization and energy! Go, Linda! WAY cool!! Fun AND connected to the standards. Brilliant. Like Carol, I'd love to do this in my classroom this year and maybe school-wide next year! That's a wonderfully fun and educational project for this next month, AND they have great taste. That poem by our Tabatha is fantastic! Wow, this is amazing!! 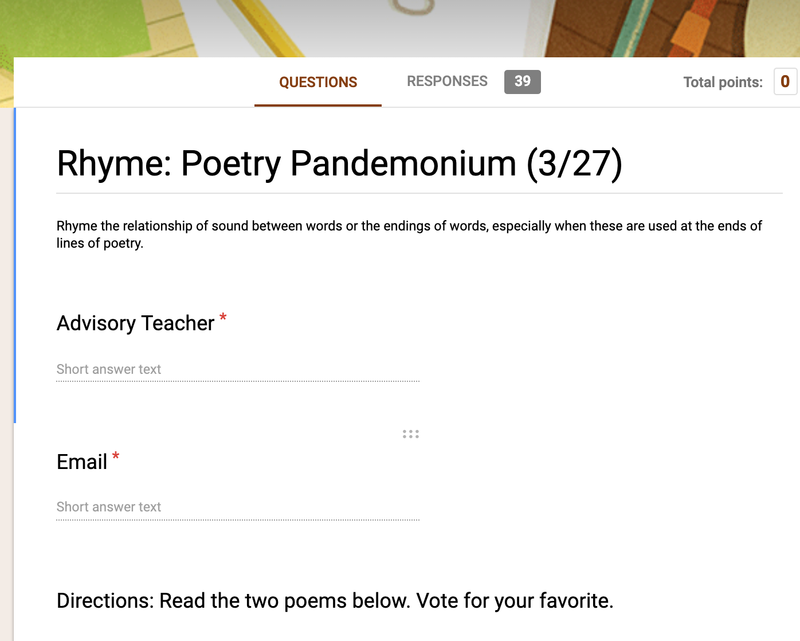 What a fun project, and a great way to get even the most reluctant poetry readers engaged and excited! This is an amazing project! I can't wait to share this idea with my colleagues! Thanks so much for sharing your educational poem projects and ideas with us! 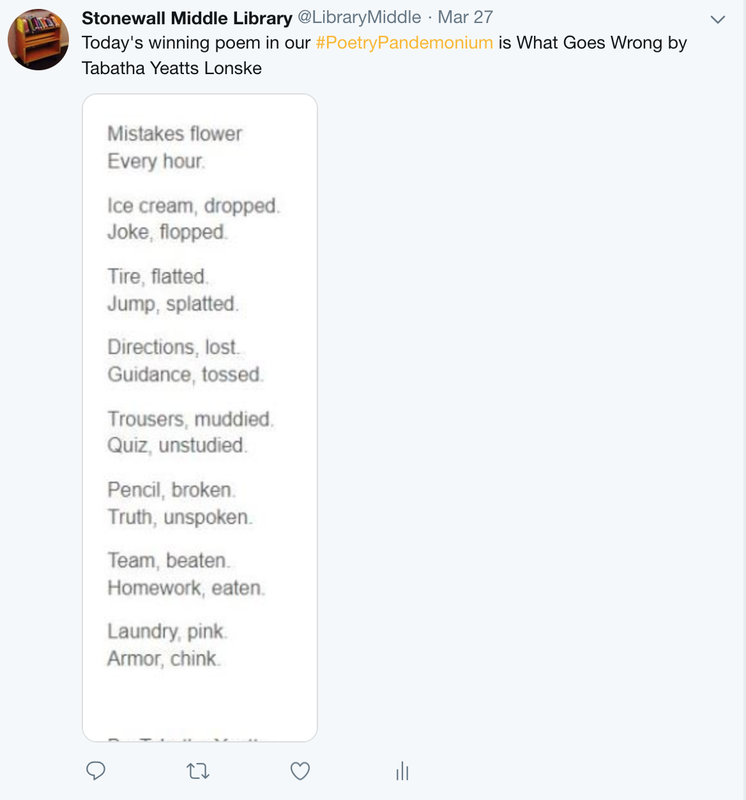 I love this idea that will continue into National Poetry Month, Linda. It takes a great deal of effort to coordinate such a massive event and you seem to have pulled it off. Congratulations! This sounds AMAZING, Linda! 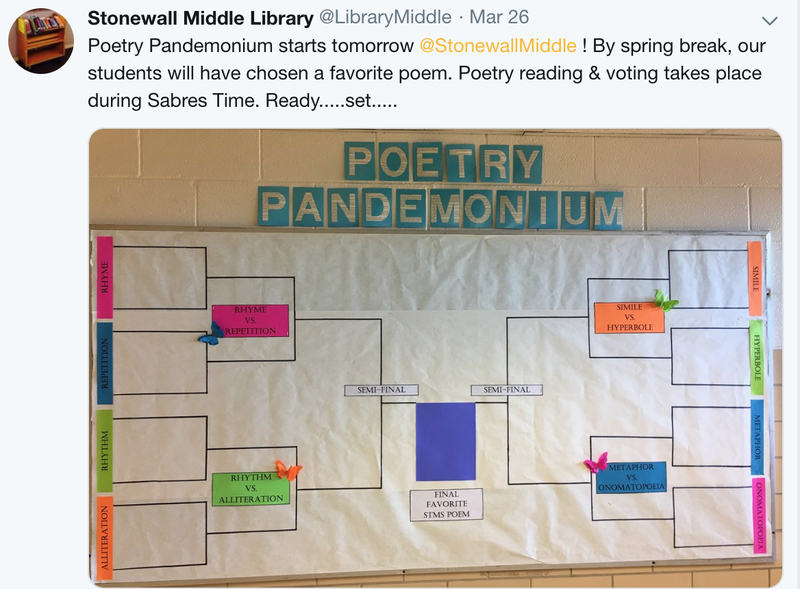 What a fun way to get the students excited about poetry. 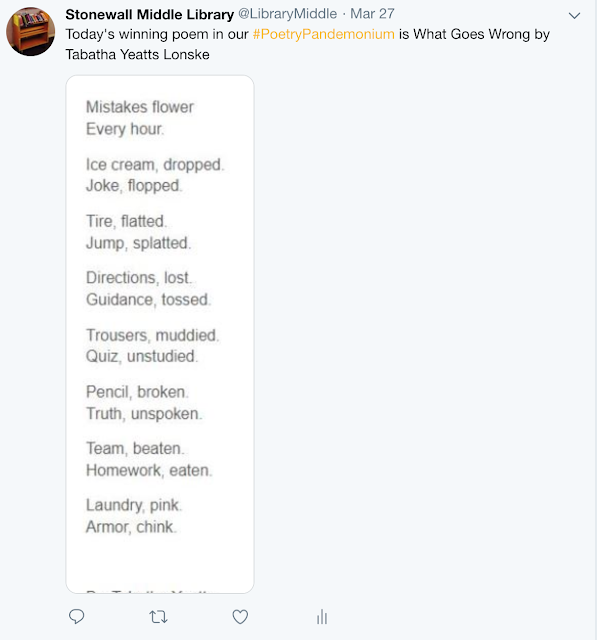 YAY YOU— poetry advocate extraordinaire! WOW! What a cool event! This is amazing, Linda. You rock! I am so impressed... such a great event on so many levels. 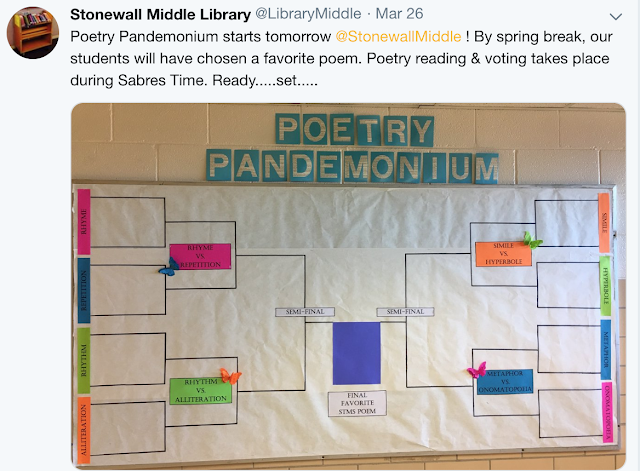 What a great way to get students into poetry. Thank you for sharing details and photos, Linda. 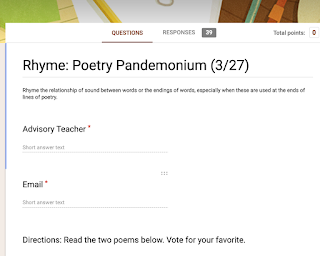 Wonderful project--I'll bet your students are having a poetry blast!